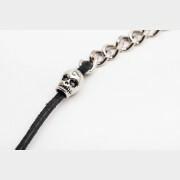 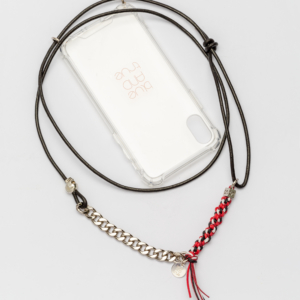 Cover for all iPhone modells on lanyard in black leather with metall chain&skull and scoubidou in black cotton and sterlingsilver letter bead. 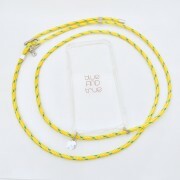 blueANDtrue also holds the phone upside down so when it is used the screen doesn’t have to be turned around. 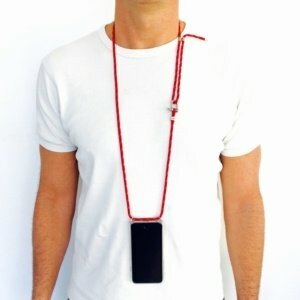 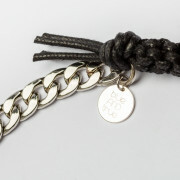 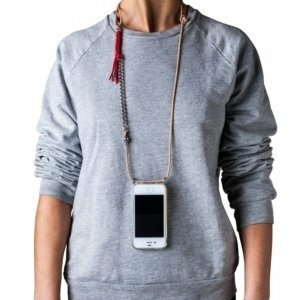 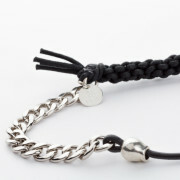 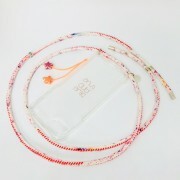 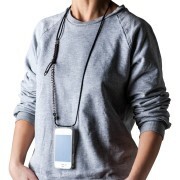 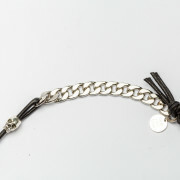 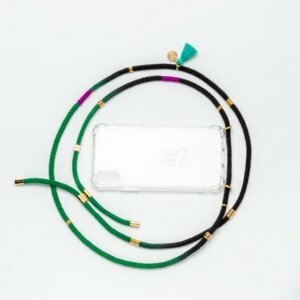 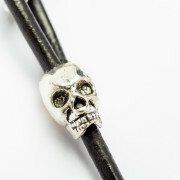 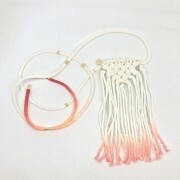 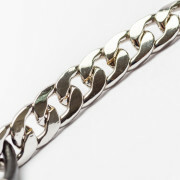 The lanyard is length adjustable so it could be carried in front or cross body.